NEW SESSIONS BEGIN IN MARCH, 2019 ENROLL NOW! 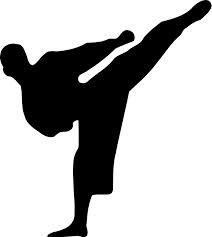 Youth Martial Arts: Age appropriate, differentiated karate classes for students in grades K-5 at the Keith Anderson Community House, 19 Bennoch Rd, Orono. Separate classes for grades K-2 and 3-5. Registration is open now at Orono Parks and Recreation. Middle Level and Intermediate Martial Arts: All students in grades 6 through 8 and younger students ranked blue belt and above are the focus of this karate class. Registration is open now at Orono Parks and Recreation. Karate for Teens and Adults: High energy, traditional karate classes for teens and adults of all experience and fitness levels. Registration is open now at Orono Parks and Recreation. Adults may use the contact form to schedule a free trial class. Private and Semi-Private Training: By appointment at the Keith Anderson Community House, 19 Bennoch Rd, Orono, ME or at your location. Arrange training through the contact form or (207) 299-8428. Self Defense for Women and Girls: Stand alone seminars offered through Orono-Hampden Adult Education. Sessions are being scheduled now for the winter and spring of 2019. Bangor High School Martial Arts Club: Weekly training and club activities for BHS students during the academic year focused on fitness and self-defense. FREE Seminars: Our latest seminar is "Branches from the Same Tree: Exploring the Martial Traditions of Japan and Korea" with our friends from Black Bear Tae Kwon Do. Details can be found here or email with inquiries.